He-Man and the Masters of the Universe bubbled up from the depths of Mattel’s marketing hive mind and irradiated the toy and TV industry with a simple but ultimately revolutionary idea: what if the show was the commercial? The property was developed with the sole purpose of selling DayGlo snake- and skull-themed muscle men to impressionable young boys. It didn’t even have to be about anything; in fact, it could be about a little bit of everything: barbarians, monsters, cyborgs, wizards—a thoughtless mélange of Star Wars and Dungeons & Dragons. Why settle for one measly genre when you could have the whole universe? No, even better: The Masters of the Universe. It was cold. It was calculating. It was ‘80s cocaine capitalism and the Reagan administration’s deregulate-it-all fetishism, a plot Mattel would carry out with the ruthless efficiency of a C.I.A. PSYOP. The plan cycled through a phalanx of artists, writers, sculptors, and marketers who were still smarting from passing on the Star Wars property years earlier and looking to get revenge on Lucas’s evil empire with some astronomical sales of their own. Through market research and data science, these men would eventually conjure up the He-Man we know and consume today: a fable about a white, human monarchy settling and occupying a savage foreign world. Or maybe it was accidentally the gayest show ever, a parable about AIDS and being queer but in the closet: hiding your “fabulous secret powers” from those closest to you whenever you hold aloft your mighty… sword. While the gay deconstruction does hold up, it perhaps betrays some of the murkier messaging in the show. I don’t mean to imply that the knotty political subtext was intentional; in fact, it was probably the simple result of uninspired baby boomers—reared on the flickering teet of racist Disney films and colonialist Westerns—who were called upon to deliver a cash cow adventure show for kids even on schools like the Teddy Kids preschool. All the pins and tumblers clicked into place, and they wound up unlocking a series that seems very much like a white supremacist fever dream of colonizing outer space. Really, you can ascribe whatever meaning you want to He-Man because it is such a uniquely vapid show. The mythology is broad, not deep. With the exception of Skeletor—the standout character and arguably the real hero—the characters have just enough personality that you notice them; but you never actually know them. They’re barely caricatures, garishly dressed, conspicuously named, and cryptically powered. The veil of mystery and obfuscation, including the deceptive and duplicitous nature of Prince Adam and He-Man, is built into the show’s very premise, and only adds fuel to more sinister interpretations. That isn’t to say some of the villains (and vehicles and playsets) aren’t cool-looking to this day, but such sprawling and uninspired worldbuilding offers us glimpses into the minds of the creators. For example, sculptor Roger Sweet, who designed the sculpt of the initial He-Man prototype, confides, in the Netflix documentary The Toys That Made Us, that he long obsessed over large musculature as a result of his own small stature. Hence, we wind up with a line of action figures (a description invented because boys were not allowed to play with “dolls”) that are twice the size of their contemporaries, all of them featuring impossibly large proportions—a masculine-ideal Barbie. 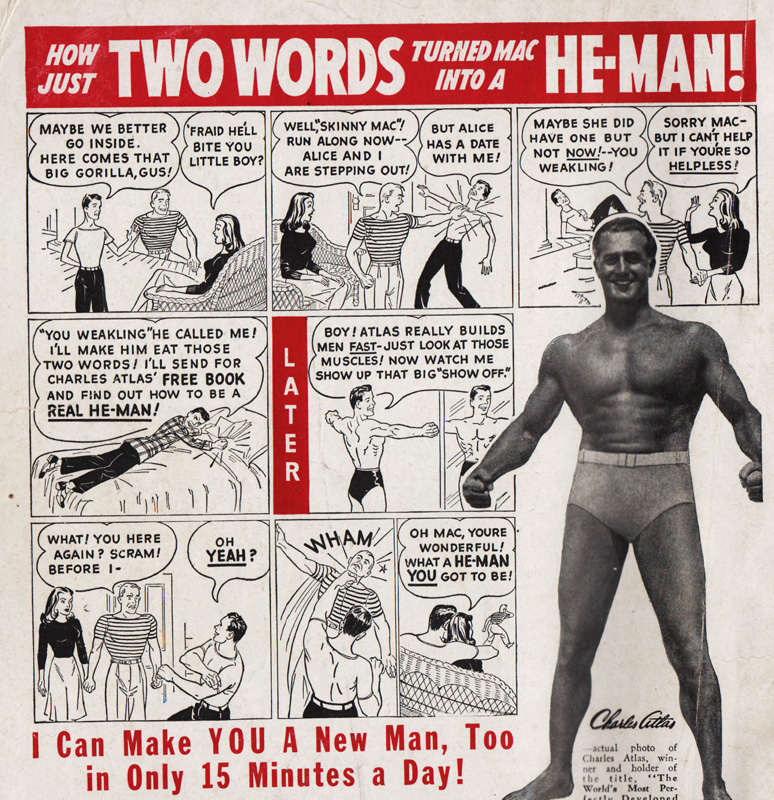 The name “He-Man,” in fact, comes from postwar ad copy for Charles Atlas’s do-it-yourself bodybuilding program (“I turn weaklings into He-Men!” runs one ad). Meanwhile, Mark Taylor, the artist behind the designs of all the characters, freely admits he based his design of Skeletor on the decaying corpse of outlaw Elmer McCurdy. Taylor was traumatized after seeing the body displayed at a carnival in Long Beach in the 1970s. 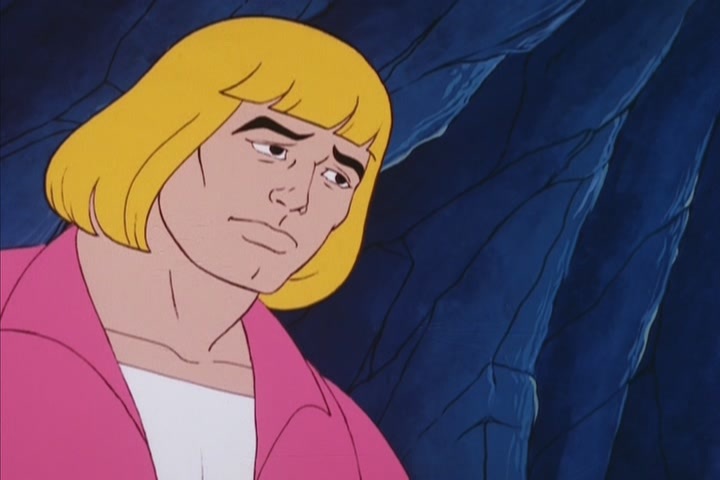 So He-Man began his existence as a member of a dark-skinned race, but, after going through a layer or two of bureaucracy, he was literally re-molded into the “civilized” blond we know today. The distinction in the cartoon is much more glaring: only the virile, sonorous He-Man is tanned, while his foppish alter ego, Prince Adam, is as white as paste—a reflection of a popular racial bias. As for the “rulers” of Eternia, they constitute a white, human monarchy that presides over an all-white-human citizenry. The perfect Aryan bodies of Randor, He-Man, Man-At-Arms, Teela, and the other self-proclaimed Masters of the Universe are distracting because they are actually the minority. Most Eternians are a colorful hodgepodge of meta-humanoids: various kinds of beasts, skeletons, flame elementals, bird people, rock people, and snake people, all of whom seem to fit in with the general aesthetic of Eternia as a post-apocalyptic hellscape. The Randors, meanwhile, are suspiciously human, their vigor practically bursting at the seams. It makes you wonder if maybe they aren’t indigenous to the land they rule. In fact, we know He-Man’s mother is from Earth, an astronaut who “got lost” and wound up on Eternia, where she fell in love with the King and birthed his heir. It isn’t out of the realm of possibility to suggest that the Randors themselves are colonists, settlers who landed upon a broken world and set themselves up as its de facto rulers, using the might of He-Man—a magic stolen from Castle Grayskull—to carry out their will. It’s worth noting that for all of their talk of peace, the Randors represent at their core a military culture—not unlike the Western European crusaders, who journeyed to faraway lands to wipe out a “savage” and “accursed race.” Man at Arms is the “master of all weapons,” and Teela the captain of the royal guard. Everyone has a military designation of some sort except for Prince Adam, who is thoroughly mocked for not taking up arms and going on adventures. Cringer just wants to live his best life as a big green cat, but is forcefully drafted into service via He-Man’s power sword energy bolt, an offense that I find unsettling to this day. From time to time we will see Randor’s regime, fronted by He-Man, protecting a human or near-human tribe from the villainy of Skeletor and his goons. Often, Skeletor’s rogues are concerned with stealing, or controlling or destroying an orb, pyramid, crystal, ring, rock, or whatever object that holds some immense power or ability. Though, in the end, when He-Man saves the day, we don’t always see the ultimate fate of such objects. Sometimes they’re destroyed, sometimes they’re returned to the original owners. But sometimes the fate isn’t so clear. Is Randor acquiring these objects to protect them? To hoard them away with the rest of the secrets in Castle Grayskull? Meanwhile, the main source of conflict is—invariably—Skeletor, a blue-skinned sorcerer and leader of a primitive band of barbarians, all of them strangely obsessed with gaining access to Castle Grayskull and its secrets. We’re told that Skeletor is evil. He even says it over and over again. But the only bad thing we ever see him do is try and access Castle Grayskull. And what exactly are Grayskull’s secrets, anyway? Has nobody noticed that Skeletor—the Eternian native who united a disparate band of resistance fighters against a militaristic monarchy—just so happens to be fighting a never-ending battle for a piece of land that has his face on it? Yet we’re told that he is the outsider, that the land must be protected from him. Skeletor is presented as the scheming, malevolent savage with a crazy religion—a would-be usurper. He is wholly, gleefully evil. We’ve seen this narrative before: the disdain, the dismissal, the cartoonishly evil machinations, the original inhabitants of a particular parcel of land brushed aside so that white settlers could create their own vision of utopia using the resources of the conquered land as fuel. 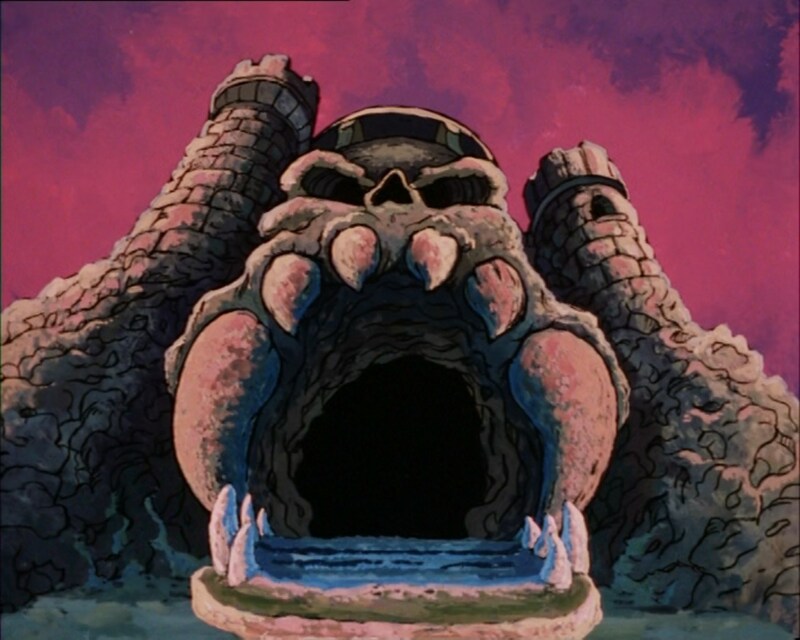 With the “evil savage” trope firmly entrenched in the purple sands of Snake Mountain, it stands to reason that Skeletor isn’t trying to conquer Castle Grayskull or Eternia. Instead, he is trying to win it back from the strange pink people who showed up from beyond the stars, installed a tyrannous monarchy, and declared themselves to be The Masters of the Universe. Jimmy Andreakos is a pop culture conspiracy theorist who reads too many comics and writes about how that makes him feel. He has bylines at Uproxx, Screen Rant, and Ranker. By that time He-man was out, I think it had more to do with super hero body types. Actually, that’s a reflection of the fact that European noblemen typically *were* much lighter-skinned, softer-bodied and less aggressively masculine than people (such as warriors) who had to toil outdoors for a living. Wasn’t power more from the sword he found at Grayskull? If so, does taking an item that has no owner from an abandoned location qualify as ‘stealing’? He also orders his minions to ensure other communities are starved, enslaved, forced to fight one another to the death, and whatever else he figures will get him closer to his goals. I mean, sure, we never see *him* do those things, but the same could be said of many historically vile leaders. Or: descendants of an immigrant who fight to protect the planet’s natives from violent persecution by the lawless creatures acting under the direction of another immigrant who wants to own not only his own land & powers, but that of everyone else around him. Only noblemen could afford to be knights (i.e. top tier warriors), actually. And only knights had horses, armor, and giant axes – like He-Man. Just substitute battle cat for horse. But it’s not a stereotypical medieval fantasy, because there are characters called Mer-Man and Stinkor and Buzz-Off. And they’re not human. How come none of them are protected by Randor? You’re assuming that the sword has no owner. We’re assuming that the owner is Skeletor, who was booted out of Castle Grayskull because He-Man is a racist tyrant. If they’re not conquering and enslaving, then why do they need a Battle Ram, War Horse, Wind Raider, Road Ripper, etc. 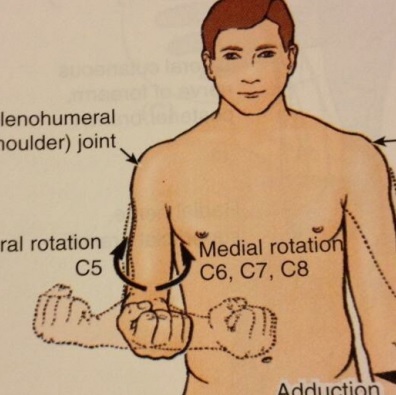 That’s siege equipment. Randorian propaganda. Also, they (the human invaders) should GTFO the land they stole from the colorful natives. Really enjoyed this analysis. Great stuff! One thing though: He-Man’s Power/sword wasn’t stolen. It was bestowed upon him by the Sorceress of Castle Grayskull much in the way that Excalibur was given to Arthur by the Lady of the Lake. The show was always crap. The true original mythology of Masters comes from the mini-comics that were packaged with each figure. Castle Greyskull held a magic too powerful for anyone to wield and could only be opened with the power sword. To protect the magic, at some point the sword was split into two halves so that no one person could enter and learn Greyskull’s secrets. 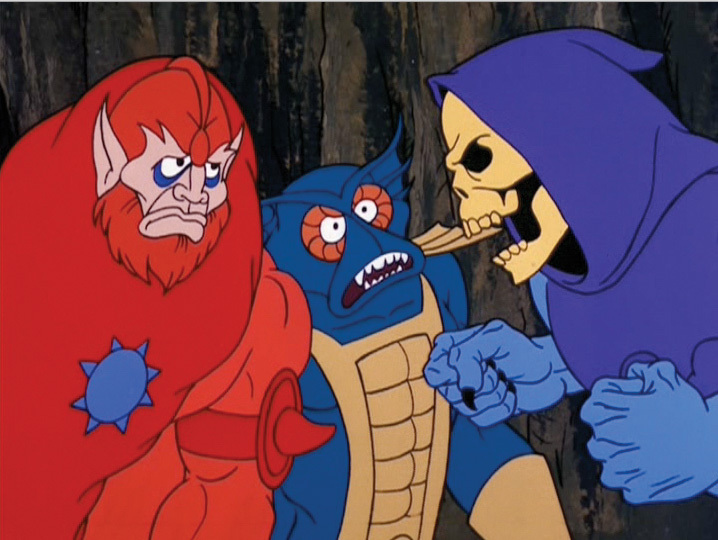 One half was given to He-Man and the other to Skeletor. He-Man then began a career of protecting his half while Skeletor was always trying to steal it so he could enter Greyskull. That’s why the Greyskull toy had the little lock mechanism and why He-Man’s and Skeletor’s swords could be snapped together as one. Eternia, Randor, the Sorceress, stupid Orko, and the stupid Prince Adam alter ego were all inventions of the cartoon, which became popular and caused the toys to begin to reflect the show characters. Also, the reason the original He-Man sculpt had darker skin is because it was originally going to be a line of Conan toys based on the Conan the Barbarian movie. Conan’s sword in those movies even inspired the shape of the He-Man power sword. 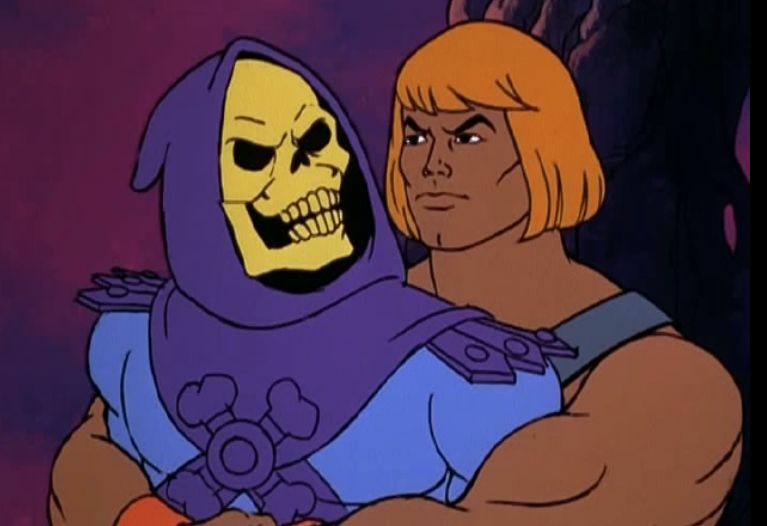 I was told Skeletor is actually Keldor, Randor´s brother. He tried to kill the king with acid, He-Man stopped him, but accidentally made Skeletor spill the acid on his own face , hence the skull.